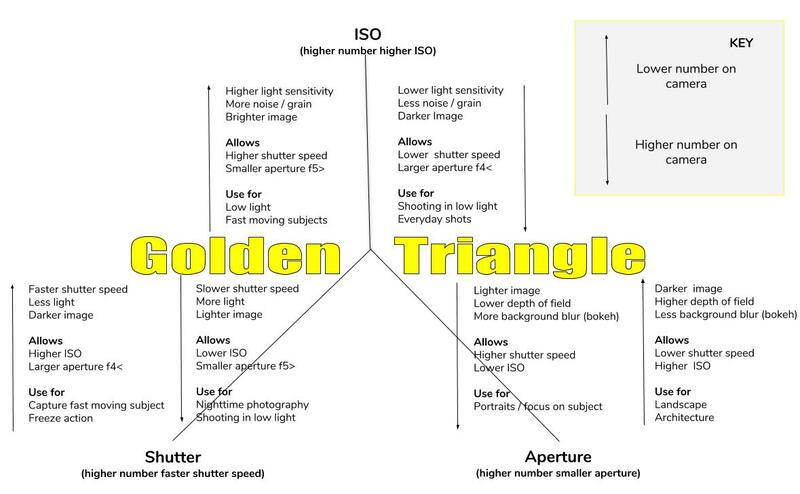 One of the most confusing areas in photography has to be what is known as The Golden Triangle or The Three Pillars of Photography, this being ISO, Aperture and Shutter Speed. I get tons of questions about trying to get out of Auto and move into Manual mode. This post is a guide to exactly what ISO, Aperture and Shutter Speed are and what they do and how they effect your photos, plus the relationship between them. Plus as a little bonus I have drawn up a chart for you to download and keep to help you in the field or where ever you need a quick reminder. Higher ISO is typically used when shooting in a low light situation such as night photography, concert photography, etc. Lower ISO is typically used in ever day shots when a sharp crisp image is required. 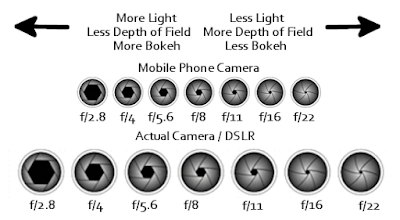 Aperture is a measure of the amount of light a lens lets into the camera. The lower the aperture value the more light enters the camera. f2.8 allows more light into the camera than f11. A lens with a wider aperture such as f2.8 is known as a Fast Lens. 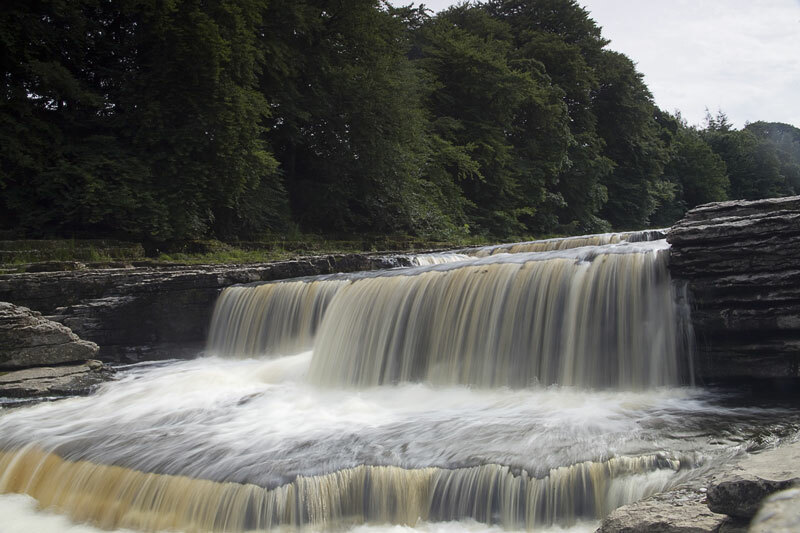 Shutter speed is the speed at which the camera shutter operates and the camera captures the image, and subsequently the amount of time the sensor is exposed to light. 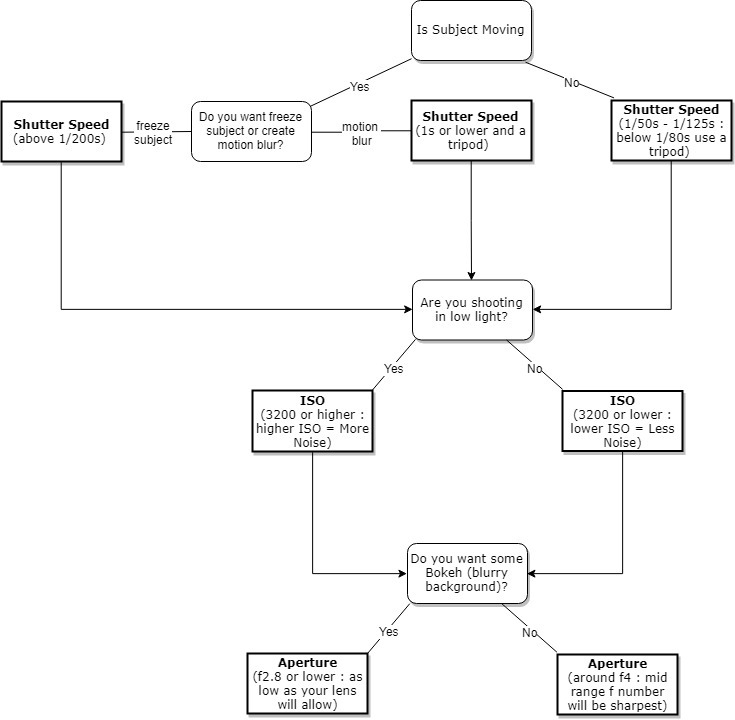 In order to make it a bit easier to understand the relationship between ISO, Aperture and Shutter Speed I have drawn up a simply diagram below. If you would like to download a copy to use in the field or for you own use,please use the buttons below. Ok so I have given a little insight into how to mount your lens and what its buttons do, I am also going to give you an quick overview of the most common terms you will hear in connection to photography. Dont worry its not going to be too indepth or technical and definately not going to go on for ever, its just a simple guide to help you with you photography success. And before you start go saying “what about this and what about that”, this page is only meant to give the most common terms you will encounter when starting and working in advertising, fashion, editorial or commercial photography. It is not meant to be a full list of every lens type or every photography term on the planet. This is a common term used to simply mean the lens, this comes from the simply fact that lenses contain glass and the better lens you use the better glass it has inside. This is one of the most common terms you will hear about lenses and at first hearing you assume it must be to do with the speed a lens can take a photo. Wrong. Lens speed is the term used to indicate how much light gets into the lens via the aperture, the larger the aperture the fast the lens. For example a 2.8 lens is faster than a 4.0 lens as it has a larger aperture opening to let more light in. Generally lenses classed as fast are aperture values 2.8 and lower. Thought mentioning this made sense after the lens speed thing above. When discussing the aperture we are talking about how open the lens gets and how much light is allowed to get into the camera. This is a little confusing as we talk about higher aperture, which means a larger lens opening but in actual fact the aperture value will be less, as 2.8 is a faster more open aperture than 4.0. Simply put the lower the number the more light enters the camera and the faster the lense. 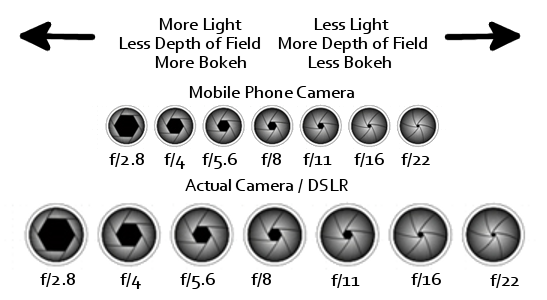 So just remember smaller aperture value or f number means faster lens and more light entering the camera. This is normally expressed in mm such as 70-200mm lens for example and is simply how far the lens will zoom in and out. Lenses that do not have a fixed focal length, this lens can be zoomed in and out. Lenses that have a fixed focal length, typically used in portrait photography. This lens does not move and cannot be zoomed in or out. A lens which can capture a wider field of view, simply it can show you more of the scene when at its widest setting typically 28mm or lower. This is an expression of the amount of given light falling onto a subject, typically for each number the light is reduced by 1. NOTE the f numbers used to describe the aperture of a lens are not the same are F Stop numbers used to describe the amount of light. 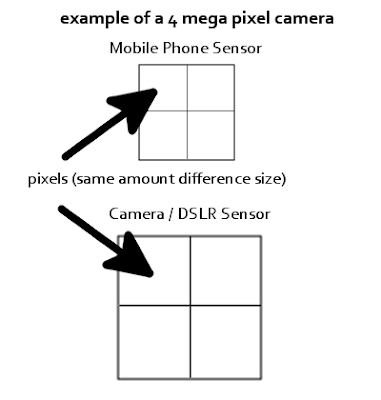 This is the terms used when a DSLR camera has a sensor size less than that of a 35mm film frame, typically expressed in terms of numbers such as 1.6 which is the crop factor compared to a full frame. This is the terms used for cameras than can take photos that can be printed at 1m x 1m or large, this size is commonly used when selling your shots for use in large billboard or posters. Something used to reflect light onto or away from your subject.